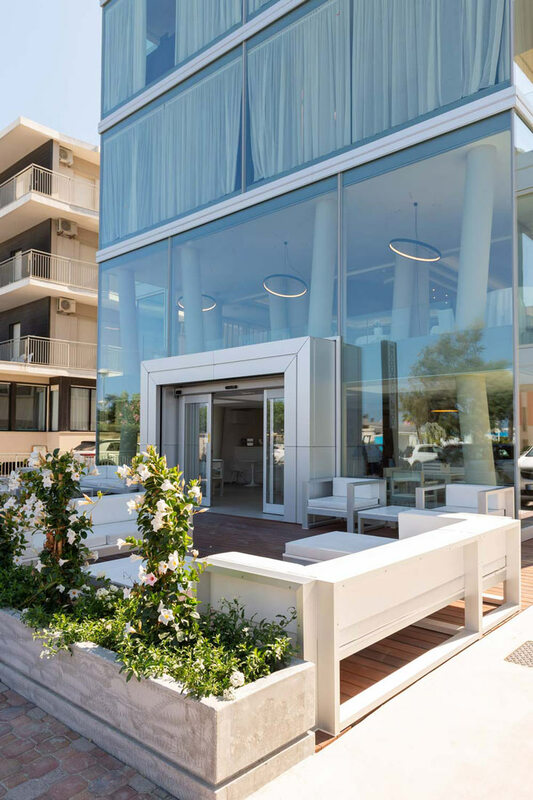 Are you looking for a modern and comfortable hotel where to spend relaxing and exciting holidays together with your love or family? 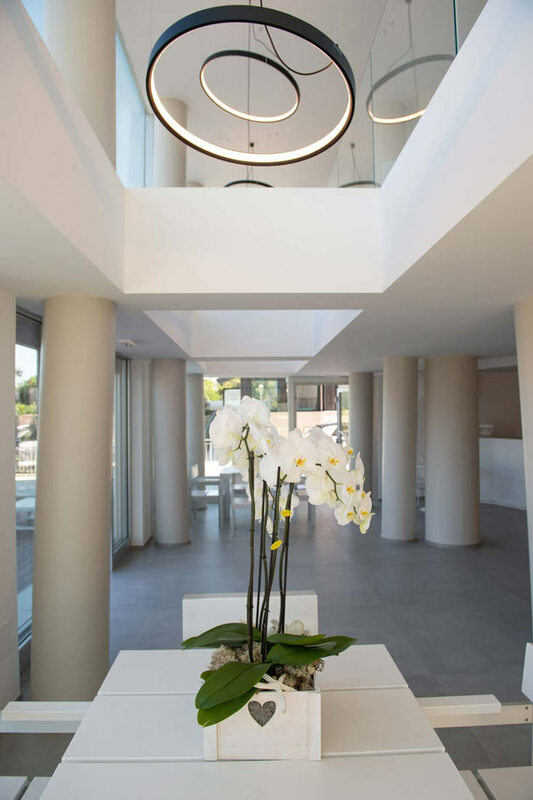 For your holidays in Romagna choose the hospitality and competence of a well-experienced management, choose Commodore Hotel.WRITE US! 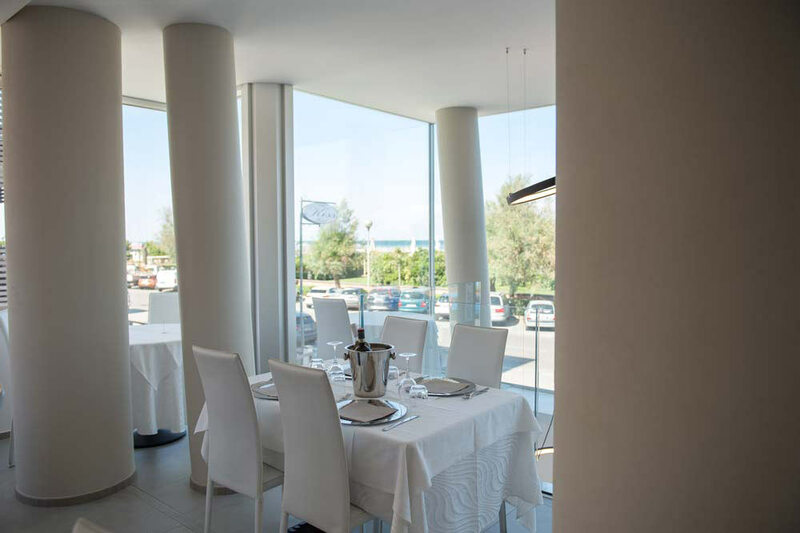 This beautiful 3 star hotel, located directly on Cervia’s promenade holds a strategic position, right in front of the sea without any other building in between while next to it you can find a large centuries-old pine forest which stretches until Cesenatico. 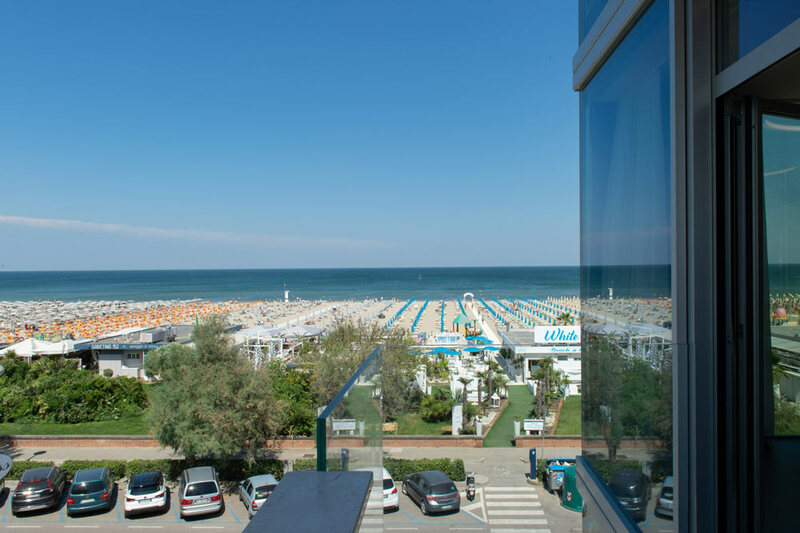 Halfway between Cervia’s historical center and Pinarella’s, both reachable on foot or by bicycle thanks to the comfortable cycle paths, it is only 4 km far from Milano Marittima’s city center. Monica, who has been running the hotel for 25 years with love and commitment and made all guests feeling like home, will be awaiting your arrival: for this reason several visitors happily return every year to Commodore Hotel as they regard it as a sort of second home where to find an excellent and genuine cuisine combined with particular attentions for their children, comfortable rooms with splendid sea view and a regenerating wellness area located on the hotel’s penthouse.